Need a few titles to finish your set? Have a damaged vest or lost an important title during a move? Purchase just one or one hundered - whatever you need. If you have any questions, please give us a call. 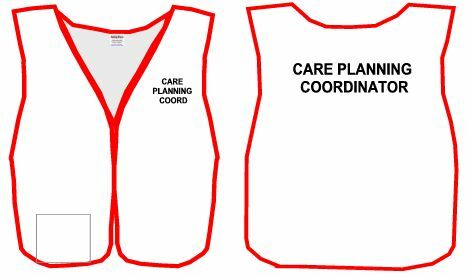 All vests are made of White Poly Cotton with a velcro closure front, 2 lower patch pockets, side elastic closure and bound with a coordinating color for the HICS/HEICS group. 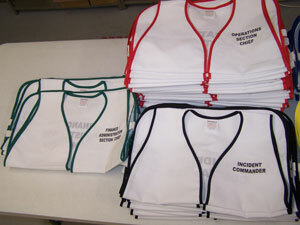 Titled vests have a small title on the left-hand side front and a larger back title. You may also choose these to be blank.